For over four decades, Citizen products have set the standard for performance, reliability and value among customers and continue to do so with the introduction of the new CL-S6621. 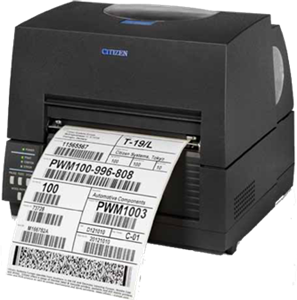 A unique thermal transfer printer with a super desktop-sized footprint and a 6-inch wide print capability, the CL-S6621 is truly innovative and full of incremental business value! Flexible in usage and robustly designed, the CL-S6621 adopts the proven attributes of the 4-inch wide CL-S621 desktop printer with the added 6-inch print capability! Full of options, value and quality, the CL-S6621 is ready to expand your printing solutions!